Most days, I feel like my life is one, big animation. It's filled with colorful characters (my children), various levels of liveliness (toddler tantrums & a teen talking back), endless adventures (on the road...again) and a few exaggerated moments (drama for your mama). If you were to throw in a well-written script, my family and I could provide you a bit of must-see television. But for now, we'll just stick to watching all of the other wonderful programming that takes over our TV screen for several hours each day (don't go all judgmental on me). And we all know that having a toddler in the house most likely means that most of what we view is animation. I don't mind though; animated series make me feel a little lighter during the day. Thank goodness for shows like, "The Lion Guard", on Disney Junior (and Disney Channel) that bring a bit of nostalgia from my adolescence and teach valuable lessons to Liam about teamwork, community and diversity. 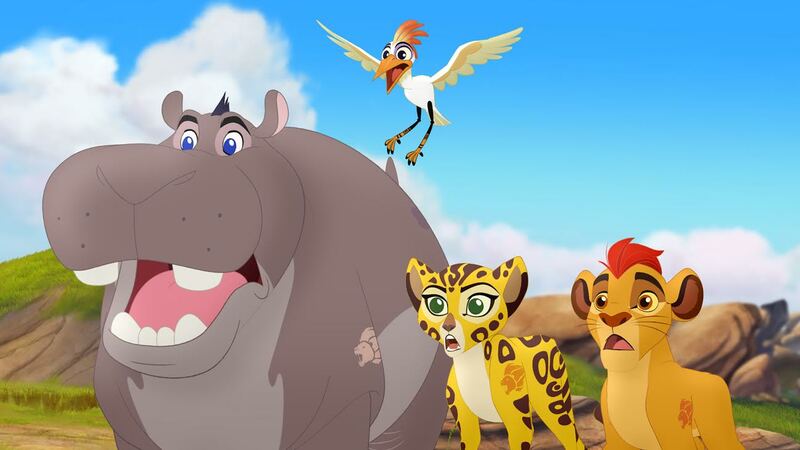 "The Lion Guard" continues the epic storytelling of Disney's "The Lion King" and follows the adventures of Kion, the second-born cub of Simba and Nala, and his diverse group of friends as they unite to protect the Pride Lands. They are: Bunga, a fearless honey badger; Fuli, a confident cheetah; Beshte, a friendly and good-spirited hippo; and Ono, an intellectual regret. Together, Kion and his friends make up the Pride Lands' fiercest, bravest, fastest, strongest and keenest of sight." 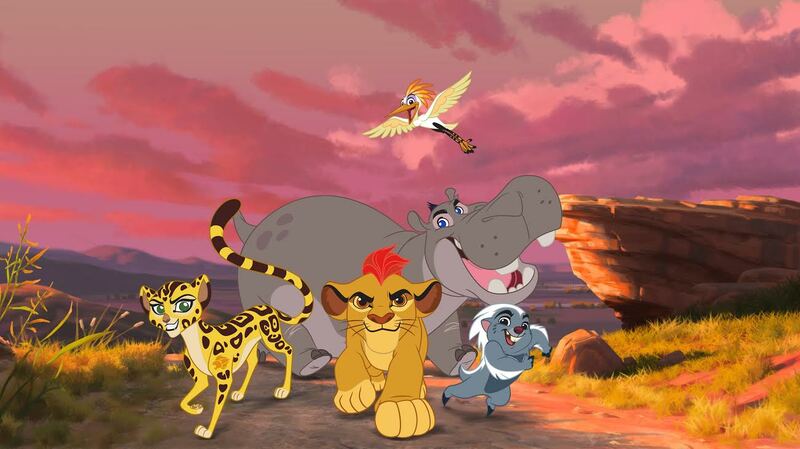 When I discovered that "The Lion Guard" would become an animated series I was thrilled. I have so many pleasant memories of the original movie dating back to 1994. I was excited for the opportunity to relive this classic with my toddler and watch his reaction to the characters, colors and music. 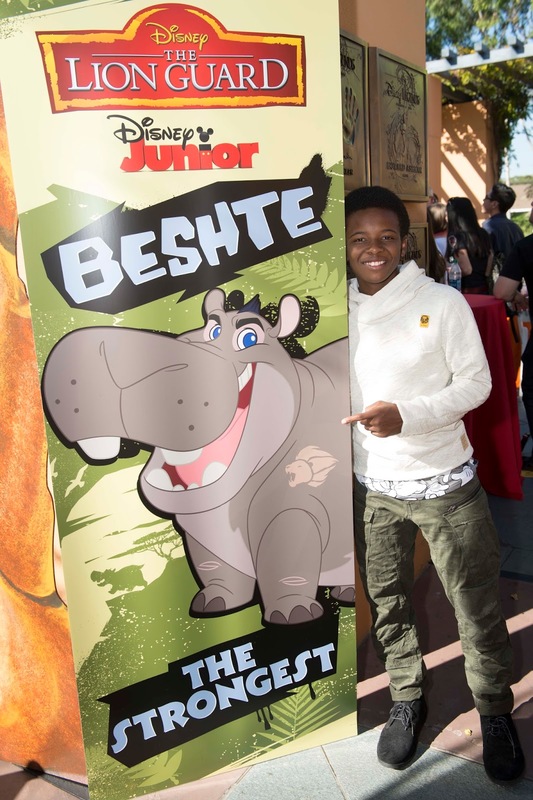 What really solidified my elation for this series was the discovery that one of our favorite actors from another animated series, Dusan Brown, was going to be the voice of Beshte the hippo. Me: What does your name mean? Dusan: My name, Dusan, means 'God is my judge' and my middle name is Khalil, which means 'friend'. It's Swahili. **I should note the significance of this. 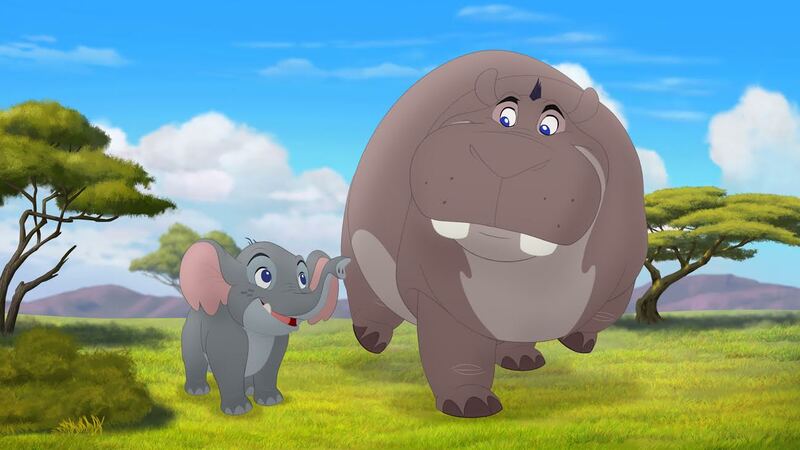 Each episode of "The Lion Guard" includes Swahili words and phrases. What an awesome connection to have as an actor working on a show that shares the same meaningfulness of words as your birth name. Me: So, your character on "The Lion Guard", Beshte, he's known to be friendly and good natured and friends with everyone, that's how it was describe. Does that compare to your personality in real life? Dusan: Oh yes! It really does because Beshte in the Pride Lands he's saying 'hello' to everybody, everybody's saying 'hello' to him. And when I go to school, I'm saying 'hello' to everybody and everybody's saying 'hello' to me. So, it's like I'm really Beshte in a way. And I was also class president, so it just shows that I'm with everybody and everybody's with me. Me: So, I was curious. The original "The Lion King" movie came out in '94 and I know that you're nowhere near that age, so I was wondering, how were you introduced to the original "The Lion King"? Was it just something that you just watched? Dusan: Well, the original "The Lion King" was shown to me by my parents when I was much younger. After that, they went to go and take me to the play and after I saw the play I had asked my parents. I said, "hey guys, I actually want to play young Simba." So, a few months later, I actually ended up auditioning for "The Lion King" and I ended up being young Simba. So, for me, booking this job and being Beshte is like another part of my life all connected together. And it's all connected to my family. Me: That's awesome that you saw the movie, said that you wanted to be Simba and then right after that, you became apart of what you wanted to be, what your dream was. So, that's awesome! So, I'll finish with, what is your dream role and who would you love to work with? Dusan: Okay, my dream role would be like a very, very expensive movie because I would want to work with Denzel Washington. I would want to work with Kevin Hart. I would want to work with Jamie Foxx. I would want to work with Samuel L. And this is all in like one, huge movie. But, it's like an action movie with superheros and it's going to be like Marvel. Me: Okay, I feel like that could probably happen with your enthusiasm. And that's where we ended it (for the sake of time). I'm sure that Dusan would have been ready for any question that I presented him with. I was blown away by how quickly he tackled the questions and dove right in. He speaks with conviction. I can only imagine how much energy fills the room when he goes on an audition. If I were a casting director, I would easily remember him once he left the room. His presence is huge and I felt that just from being on the phone with him. Interviewing Dusan gave me a new appreciation for his character when I watch "The Lion Guard" with Liam. We make certain to tune in whenever there is an episode on the television. In fact, Liam insists that I watch past episodes on the nights where he is having trouble sleeping. He sings along to all the catchy songs. I even find myself getting into the groove. I am also drawn to this character because I feel as though my children can relate and/or aspire to follow their dreams as black boys. 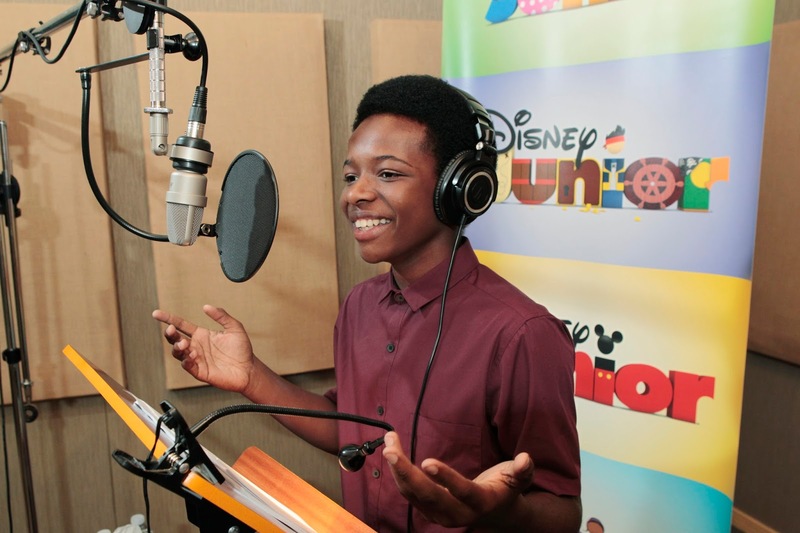 It warms my heart to know that the voice behind some of Liam's favorite animated characters belongs to a young man that looks like him. This is major for us and helps retain us as fans of the show. Won't you join us in celebrating great television programming for our children. Tune in. I know we will be watching. 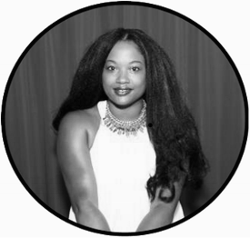 Don't miss a post! Have Mommy 2K updates delivered to your mailbox.